Made in the U.S.A., our Aquatek water is bottled in 100% recyclable PET plastic, free of harmful dyes and artificial additives. Our water is protected by a triple filtration with a multi-barrier approach that includes Micron Filtration, Ultra-Violet Disinfection and Ozonation, ensuring the highest quality natural spring water. 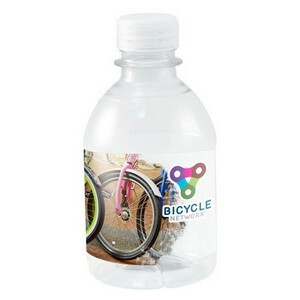 Our 100% natural spring water is the perfect backdrop for your company's logo with the highest quality full-color process label. Quench your customers' thirst for excellence with Aquatek. 8 oz.